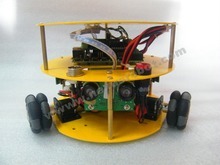 This is unconventional mobile robot kit, it has 3 omni wheels that allow it to move and turn simultaneously, and accelerate in every direction at once without changing the direction it is facing. 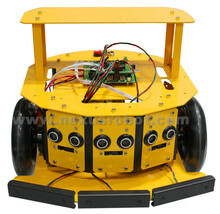 Besides the 3 motors for driving, the robot has 3 Ultrasonic sensors to scan the environment. 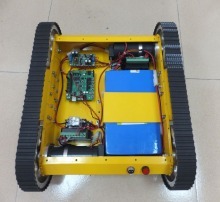 To program the mobile robot kit, we chose Arduino to maintain the software easily and to exploit the excellent motor control algorithms provided. 2.If you would like to DIY by yourself,only could buy accessories. 1. 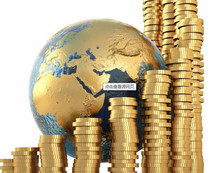 Aliexpress accept Escrow/ Credit card/WebMoney. if you have problems on making payment, Please contact us as soon as possible. 2.As usual,we send the package out within 1-2 days once we get your payment.and pls keep in touch once you placed the order. 3. We strive our best to provide you the most reliable, affordable way of shipping service.But sometimes international delivery is highly depended on the Courier Company and local customs/duties.If you do not receive your item on time, please contact us immediately for further assistance. Thank you for your understanding. 4. Import duties, taxes and charges are not included in the item price or shipping charges. 1.This item is covered by 3 months warranty. 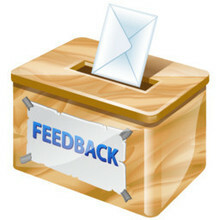 If you`re not pleased with your purchase, we`ll be happy to make an exchange or refund in 7 days. including the box, and all the accessories. 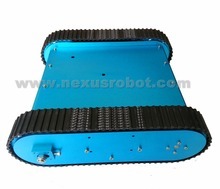 Buyers is responsible for the returning shipping cost . 1. Our mission:To build the brand with profundity,to serve the masses with quality.